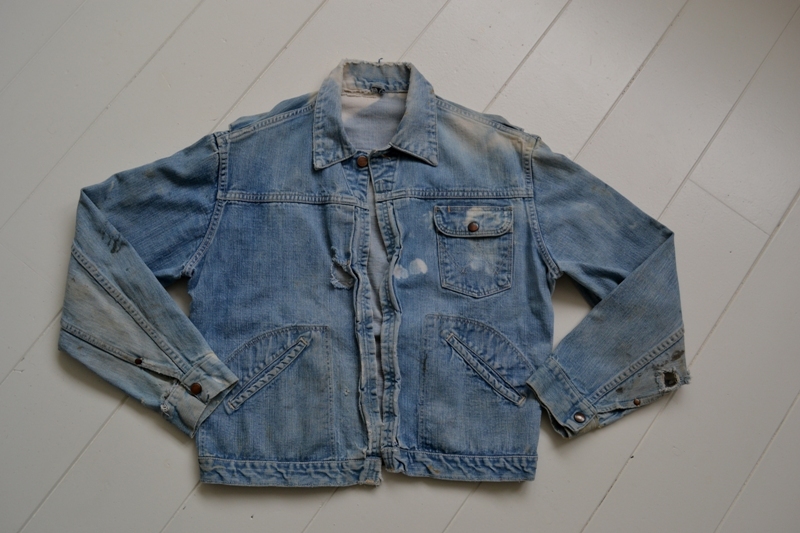 This Wrangler ‘Blue Bell’ jacket 8MZ is my latest vintage found. 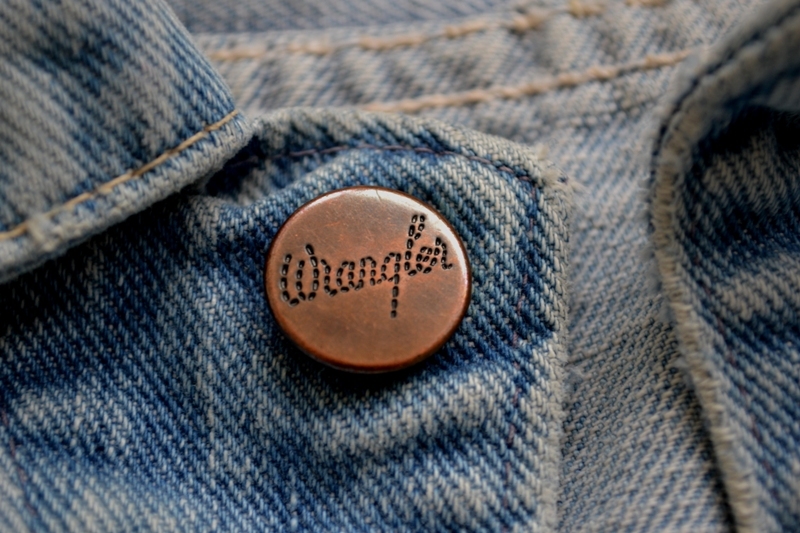 This jacket was introduced in 1951 as the second edition Wrangler jacket included a zipper. 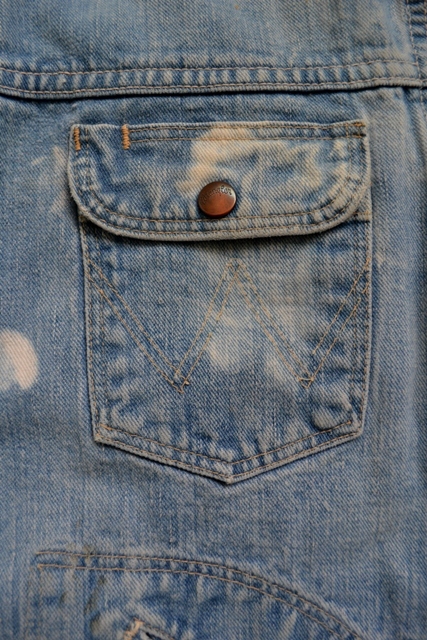 It’s made of 8oz left hand denim, the feeling is extremely soft! 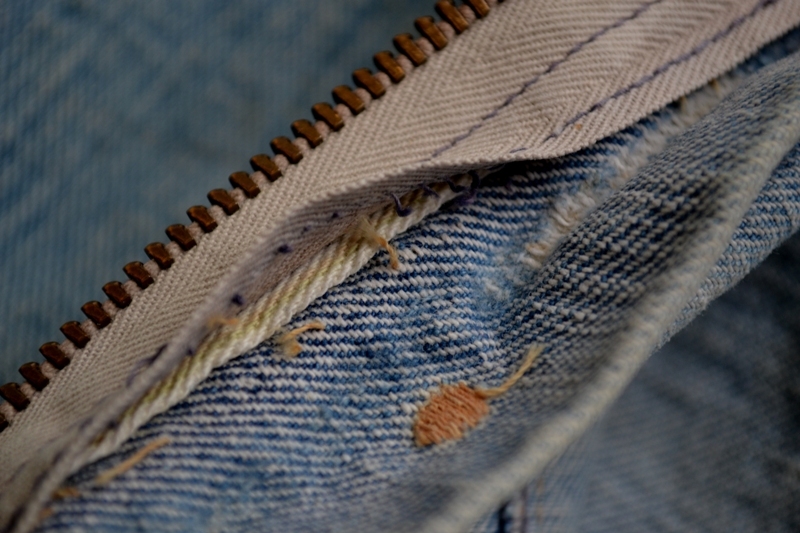 It features golden/yellow selvage behind the zipper, elastic side details, sleeve vents, one breast pocket and two hip pockets. 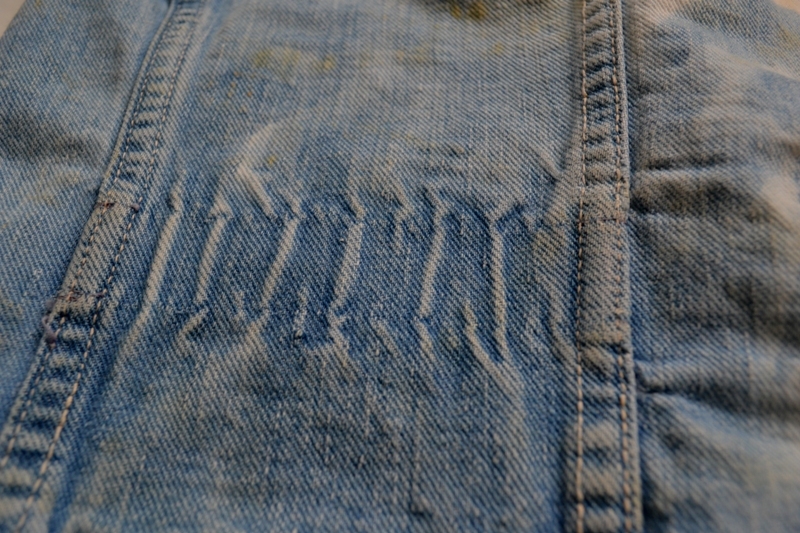 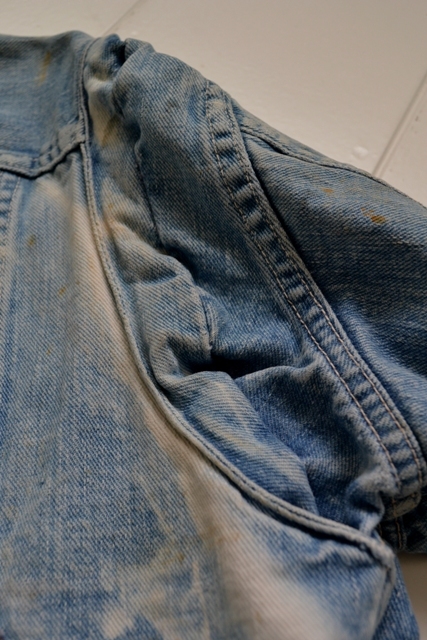 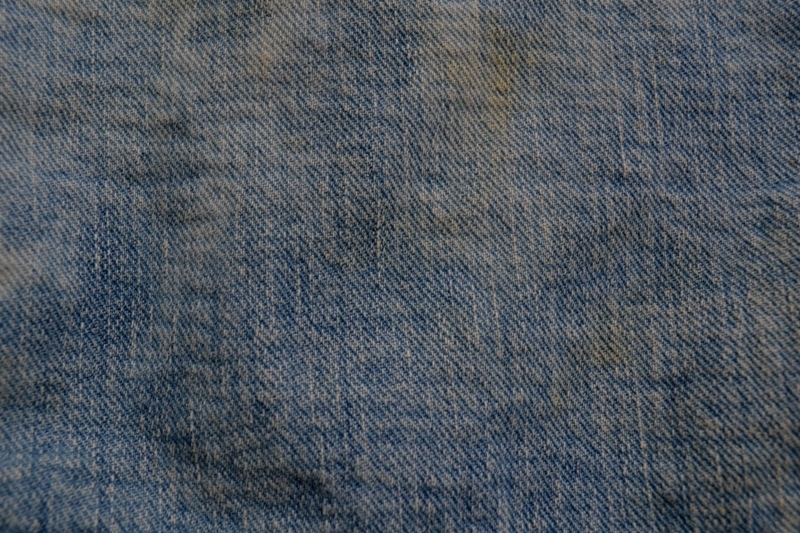 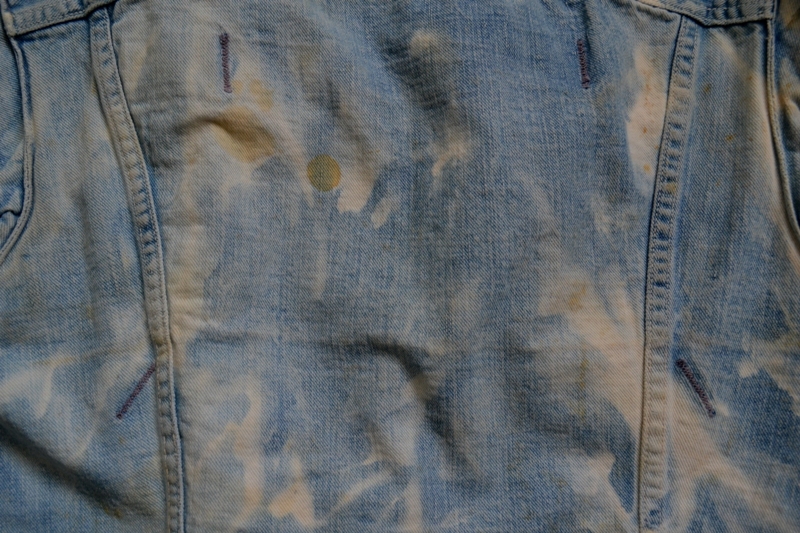 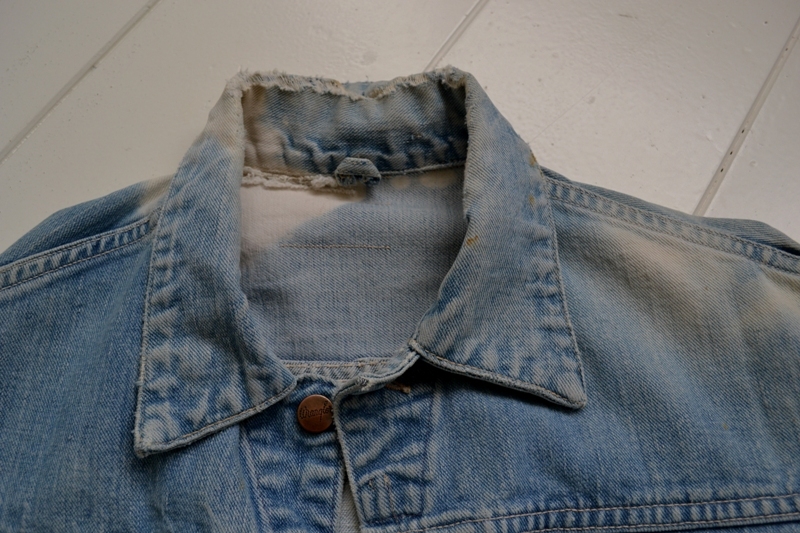 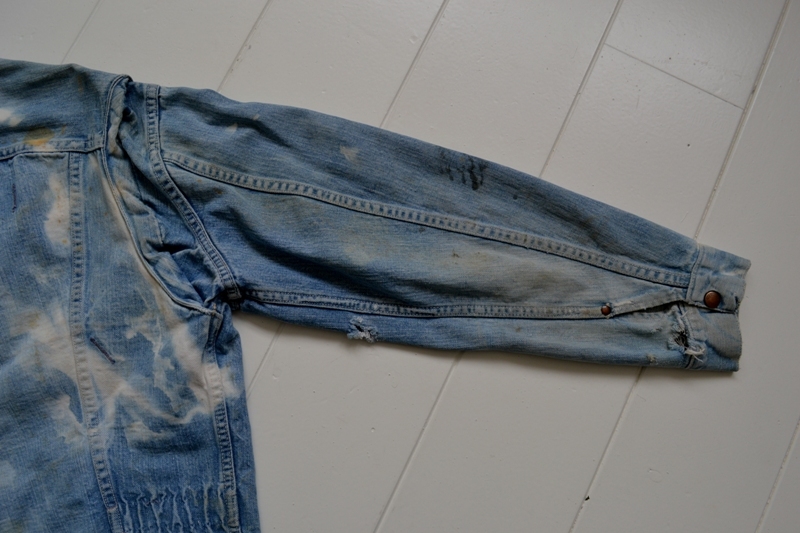 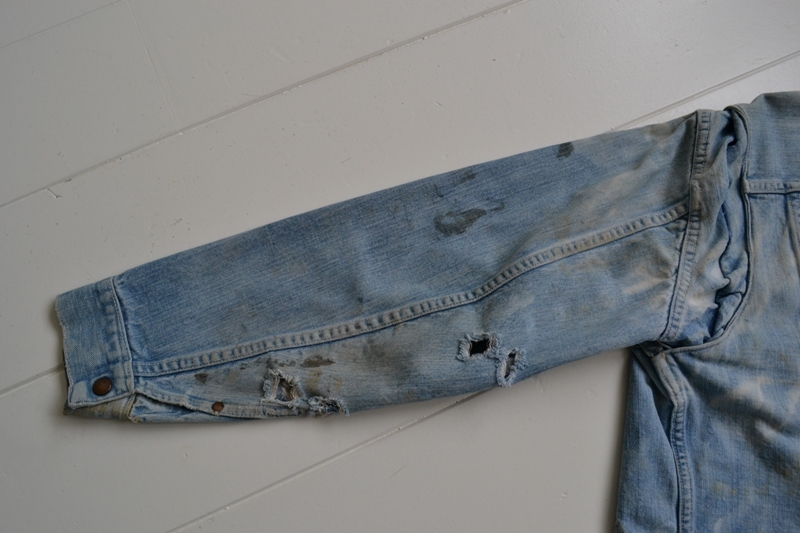 The previous owner wore this jacket a lot as the denim is faded completely, a lot of holes and damages and the jacket also got some several chlorine spots. 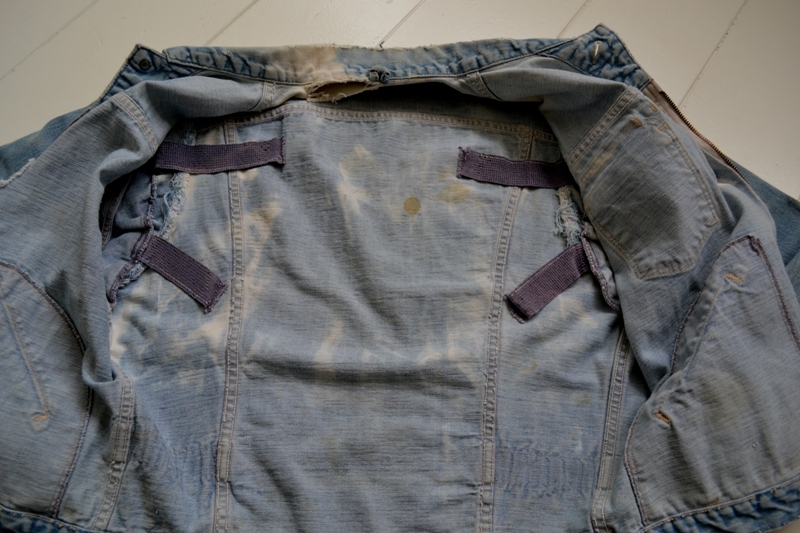 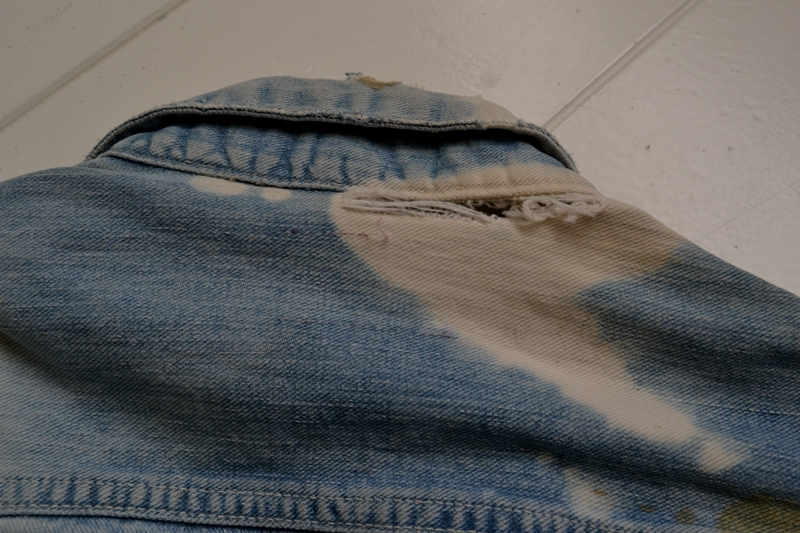 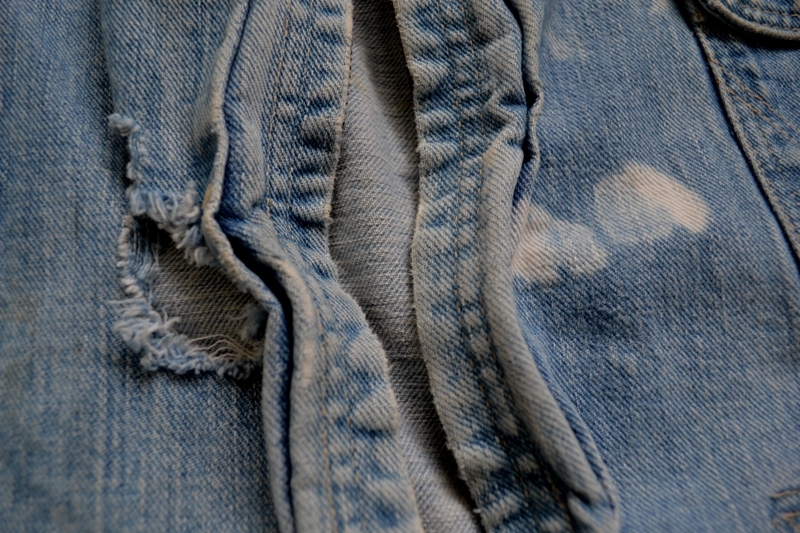 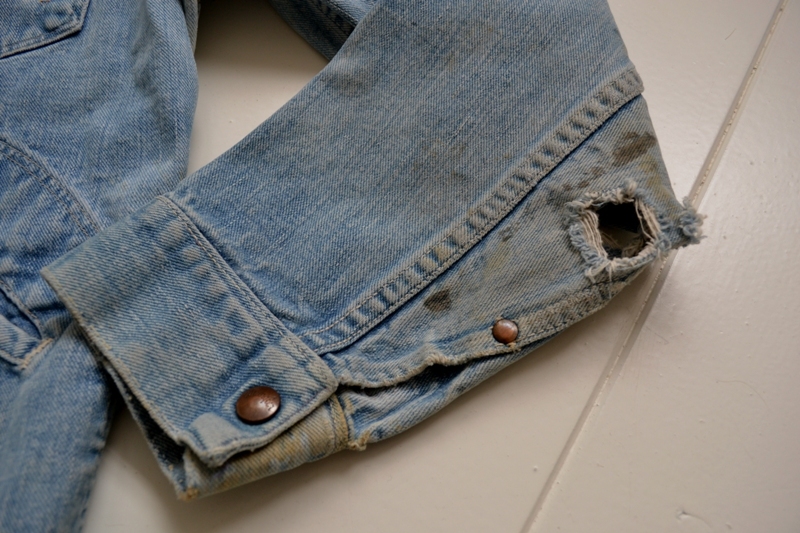 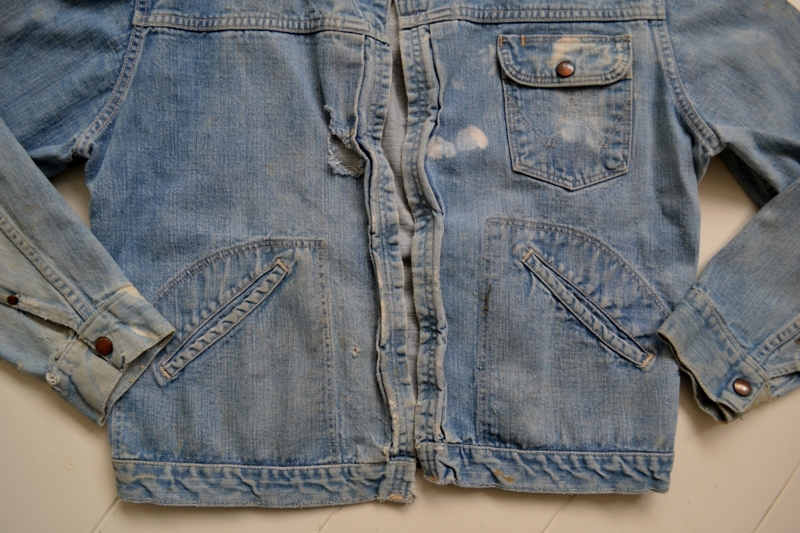 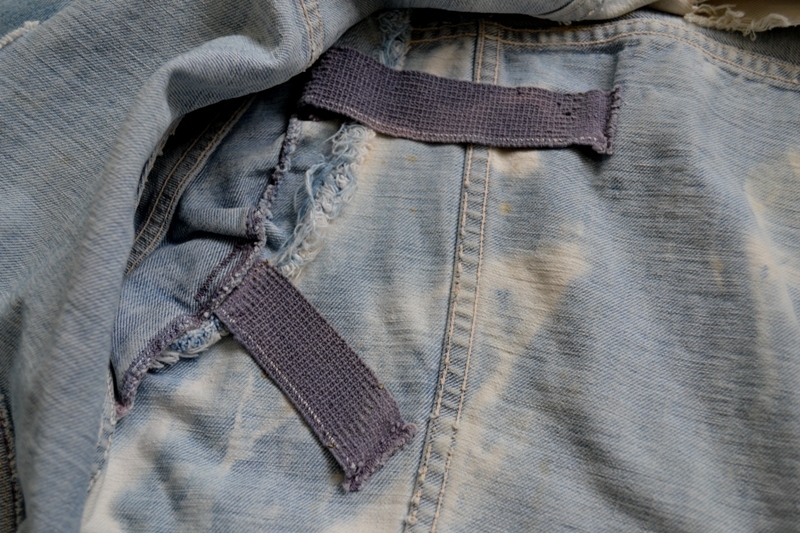 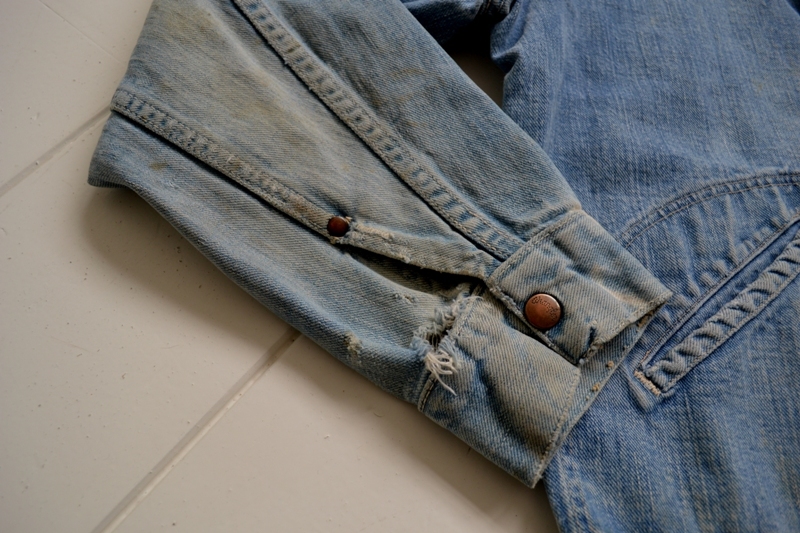 A true nice piece of a worn-out denim item. 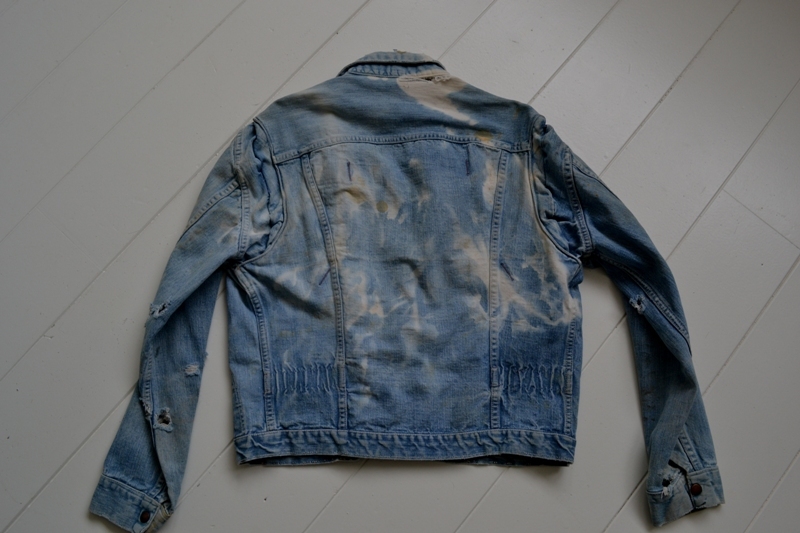 Perfect addition in my private collection!